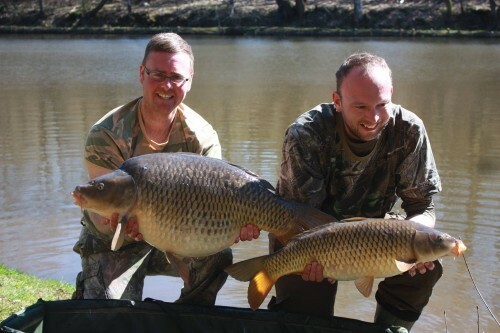 The weather is finally picking up at Bears Lake and Andy and Stuart have had a few fish this morning. 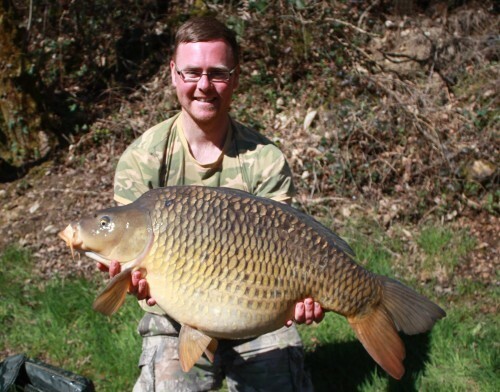 The pick of the fish was a stunning 32lb 8oz Common to Stuart. At the same time Andy managed to catch one of our original Commons. 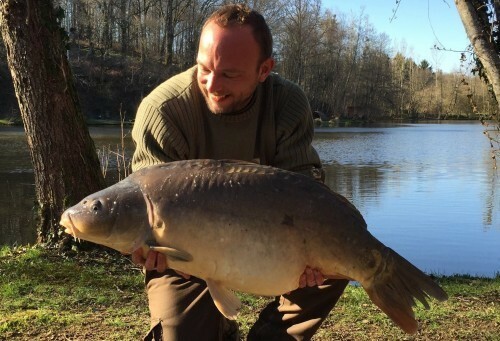 As the photo shows, these are smaller and leaner than the royal strain carp but tend to fight very hard. 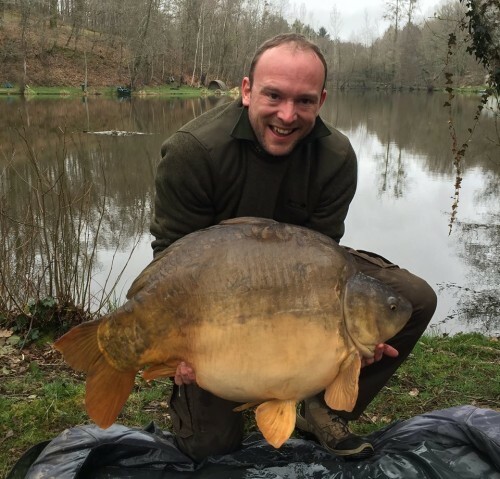 There have been a few other good fish caught over the last few days and we will post some photos once we get copies off Andy. Fingers crossed for a few more this afternoon.